AH and CCA are totally different measurements. Your sure the 'white smoke' is actually smoke and not just water vapor as engine heats up? Well the smoke comes regardless of how hot the engine is. It only smokes when I'm revving the bike in idle, otherwise I'm not seeing any smoke when I'm riding (even at high rpms). I'm afraid it could be oil smoke, but it doesn't smell like that and the smoke doesn't have any blue/grey tints to it. Its the color of burning money. Serious question tho: do you mean that the smoke is just my gas burning up, or that the engine is going to need more work? First I want to say thinks to everyone so far, it's been a really exciting/sad/expensive time but I've enjoyed every second of it! Also checked to timing with the strobe light and it was within the specs. 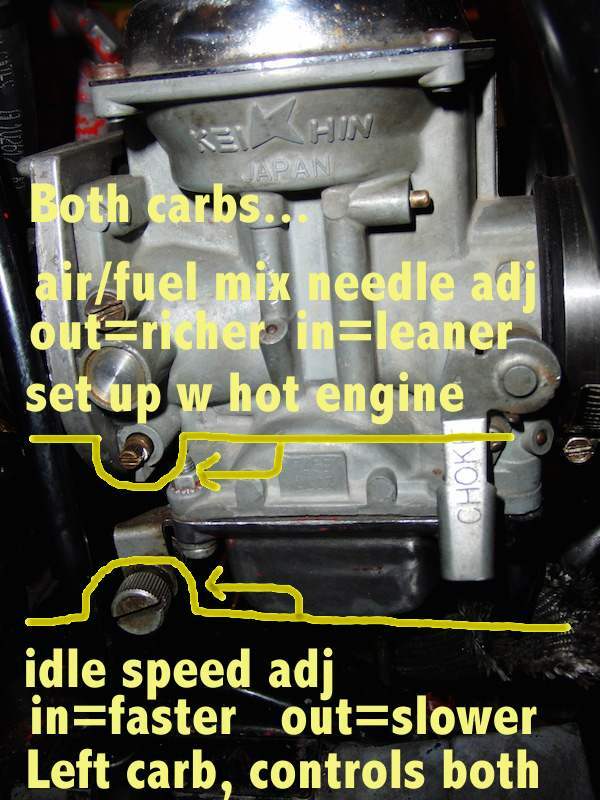 You now need to vacuum sync carbs and run it for at least 200 miles. If it's had a problem for a while you may just be heating up combustion chamber, exhaust port, pipe and silencer then burning out any crap that's built up.